Click on the links below to visit other, Guide Dog related websites! 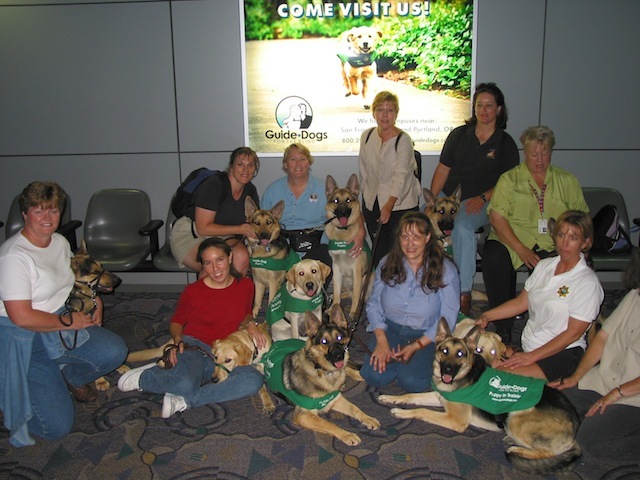 Guide Dogs the Blind, Inc. - This is the official website for Guide Dogs for the Blind. It contains an abundance of invalueable information. If you have never been to this website before, you should definitely visit it. SFSPCA Hearing Dog Program - This is the website of the San Francisco SPCA Hearing Dog Program. For more information about the program please visit the site! Alda's Web Page - This is a web page about Alda, a female yellow lab who was raised in our group during a period of her puppy training. She is now a breeder for Guide Dogs for the Blind, Inc. The page was made, and is maintained by her Breeder Keepers. Visit her web page for any updates or to see photos of her! Contra Costa County Puppy Raising Club - Web page of the Contra Costa County Puppy Raising Club, a group of guide dog puppy raisers in the Walnut Creek, Pleasant Hill, Danville and Concord areas. Verification Question: How many legs does a dog have?